Gone are women who have patience to wait for love. In this day and age, we remind ourselves to wait but contemplate if we have solely given our soul waiting for nothing. 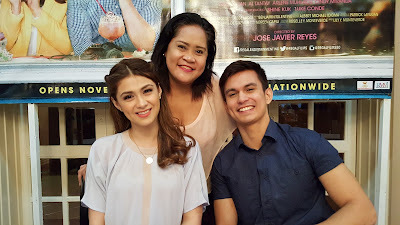 It was an unforgettable afternoon chatting with the hottest loveteam Carla Abellana and Tom Rodriguez for Regal Films' latest romcom flick "No Boyfriend Since Birth" yesterday at Valencia Events Place. I was expecting they'd both steer the conversation to the movie alone but voila, we have gotten to explore their beautiful thoughts about love and its complexities. Both shared that they do not like putting labels and even if they both admitted dating, they do not want to say they are in a relationship. Carla will play Karina, the executive assistant in a bridal shop to work in a project with her higj school crush Carlo (Tom), the wedding photographer. 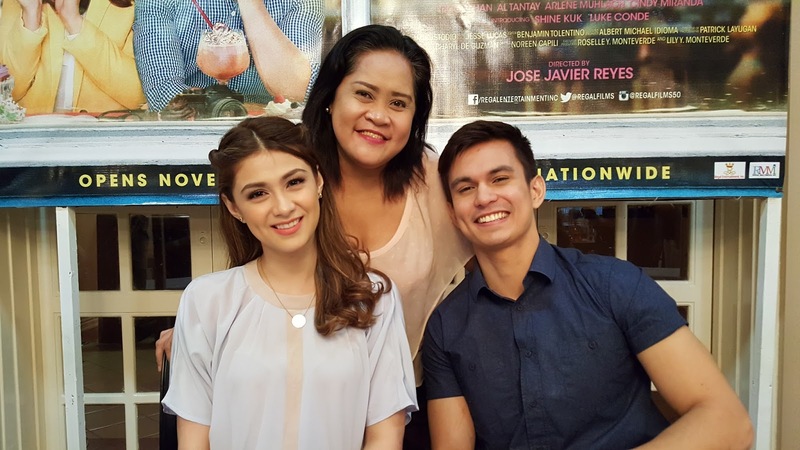 When asked how similar are their parents to their parents in the movie, Carla saw her mom in Arlene Muhlach and Al Tantay while Tom gave his fondest memories with his mom who was always his cheerleader. Tom was amazing being able to answer all questions of the bloggers while doodling images on his phone. I didn't think he was a talented digital animator and a writer. Tom, was without any sugarcoating, filled with so much thoughts to share about love and how it can take any form. Carla was as always smart and confident not going into any rush in relationships and love. She likes the stories of Lang Leav and a few other authors. When asked what story was most beautiful, Tom mentioned Cristopher Reeve and Jane Seymour's 1980 flick "Somewhere In Time". It was an unforgettable bloggers conference getting to know Tom and Carla who both made me believe in love all over again. 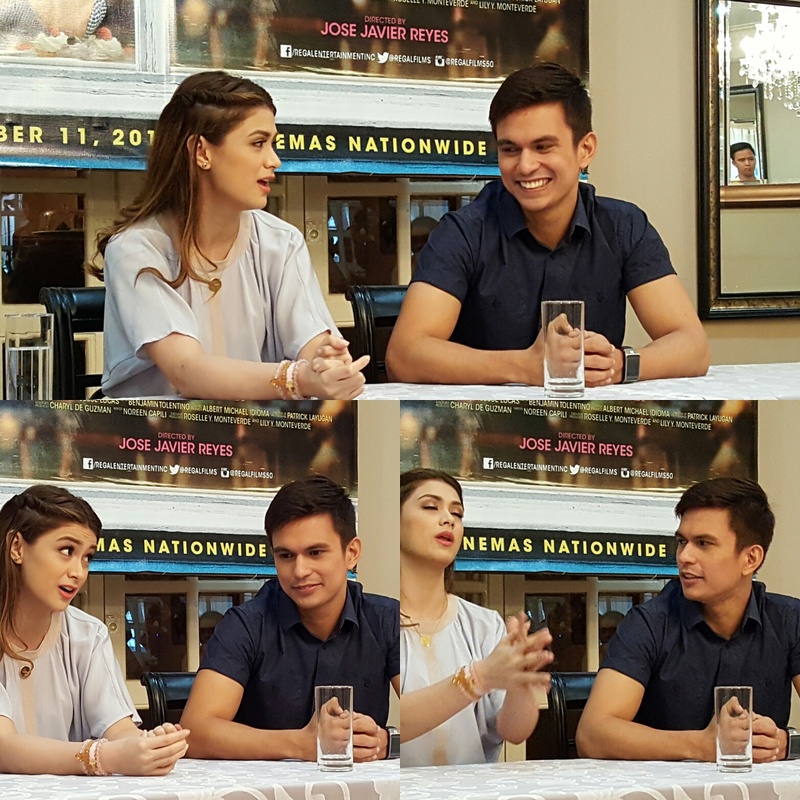 I will definitely watch Regal Film's No Boyfriend Since Birth on November 11 showing at all cinemas nationwide. Directed by Jose Javier Reyes, No Boyfriend Since Birth also stars Mike Tan, Mylene Dizon, Bangs Garcia, Ricci Chan, Al Tantay, Arlene Muhlach, Cindy Miranda introducing Shine Kuk and Luke Conde. For more information visit www.regalfilms.com, https://www.facebook.com/RegalEntertainmentInc/ and follow @regalfilms on Twitter and @regalfilms50 on Instagram.